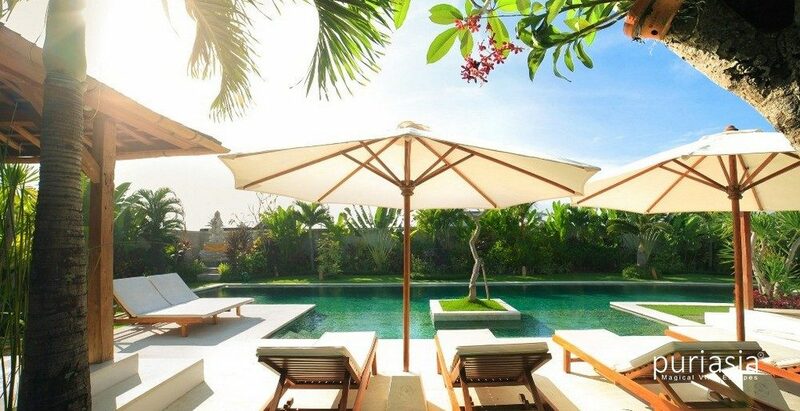 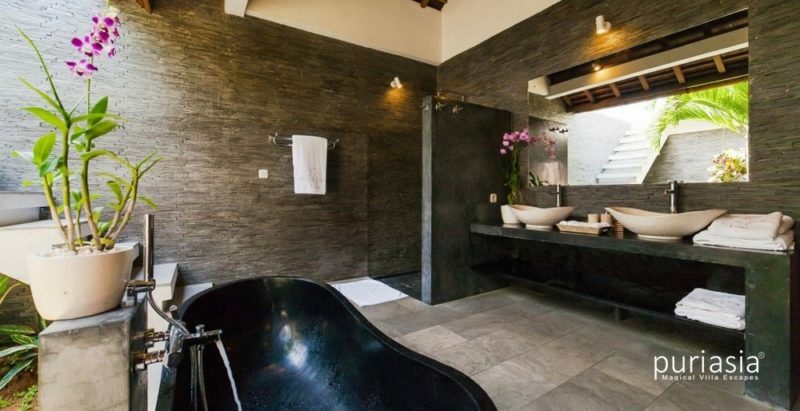 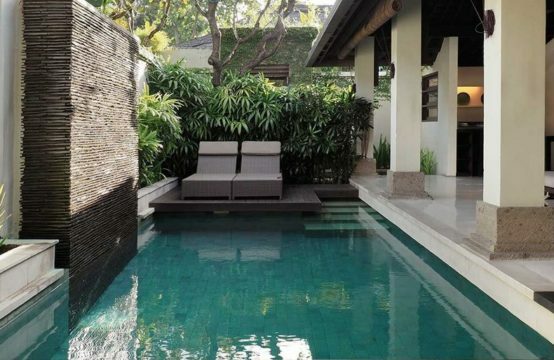 An oasis of calm in bustling Seminyak, La Villa Des Sens is a spacious experience of Balinese luxury and the owners have created an extremely comfortable environment in which to relax and feel truly ‘at home’. 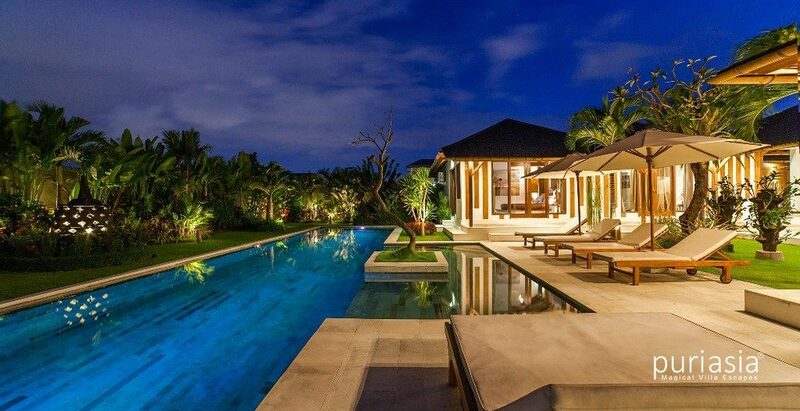 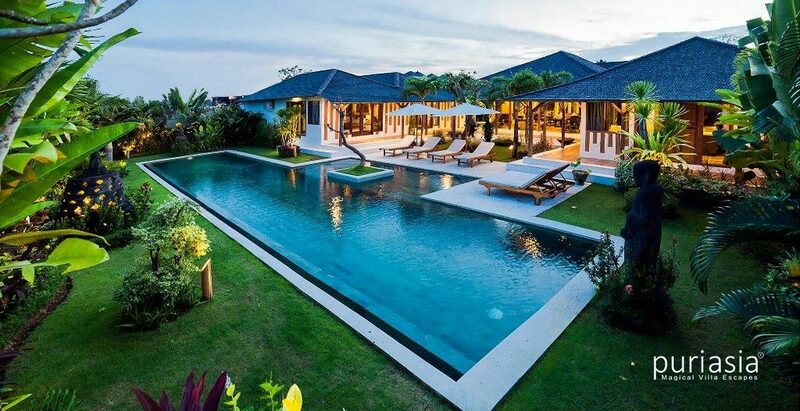 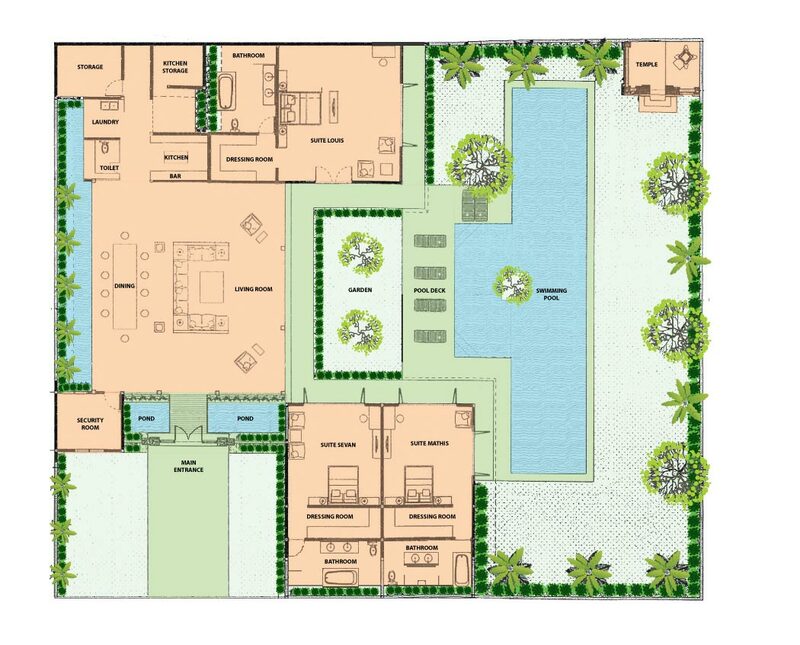 This contemporary villa is built in a ’U’ shape around a tall traditional Balinese ‘Joglo’ and faces a sparkling 4m x 20m swimming pool. 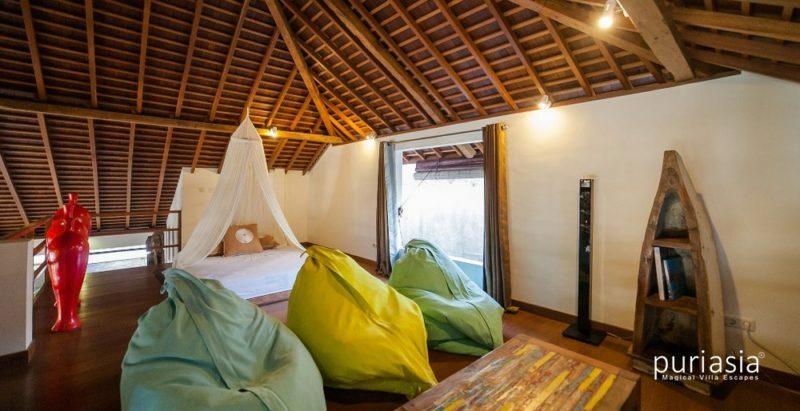 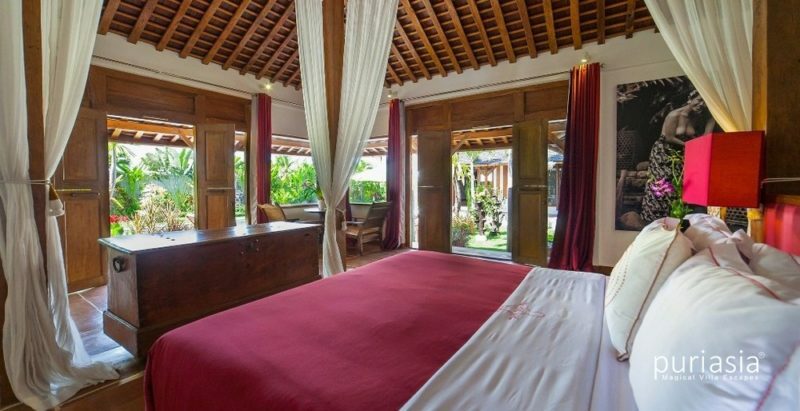 Three beautifully appointed air-conditioned bedrooms, each with a king-size bed and en-suite facilities, a large lounge area with a mezzanine and comfy seating everywhere, provides ample spaces in which to repose. 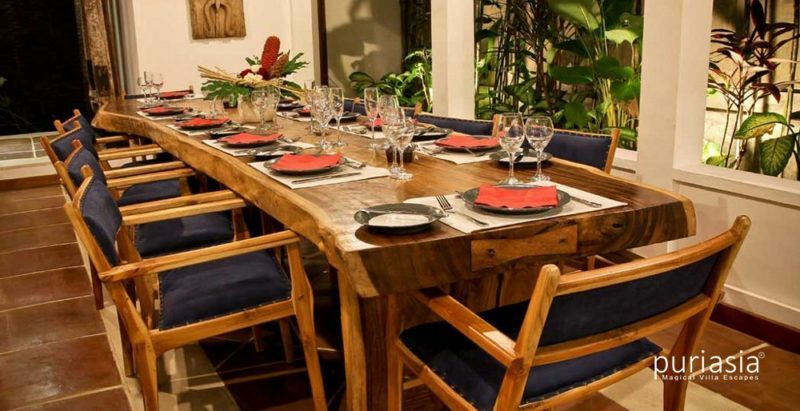 The villa has a fully equipped dining space, kitchen and bar and the living areas are surrounded by a mature garden and it sits in 1,000m² of land. 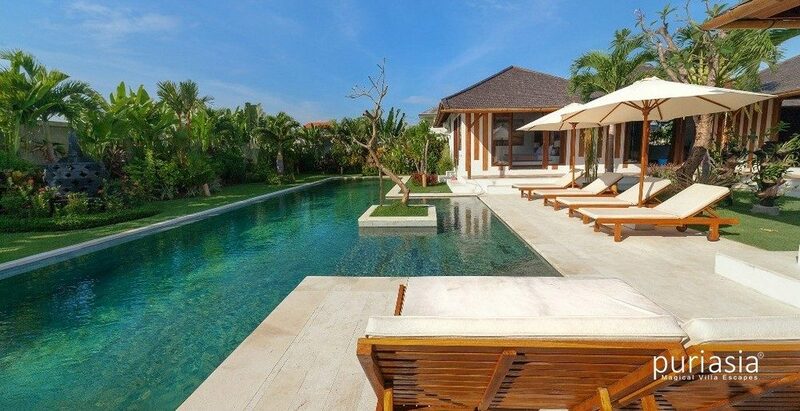 La Villa Des Sens is a superb location for a family holiday, retreat with friends or as a base from which to explore Southern Bali. 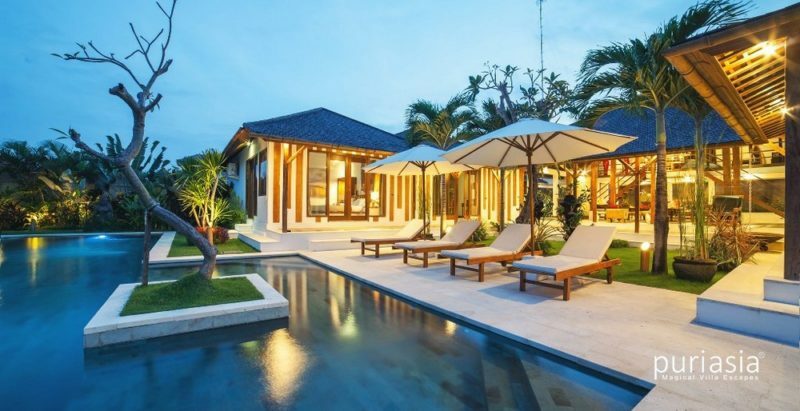 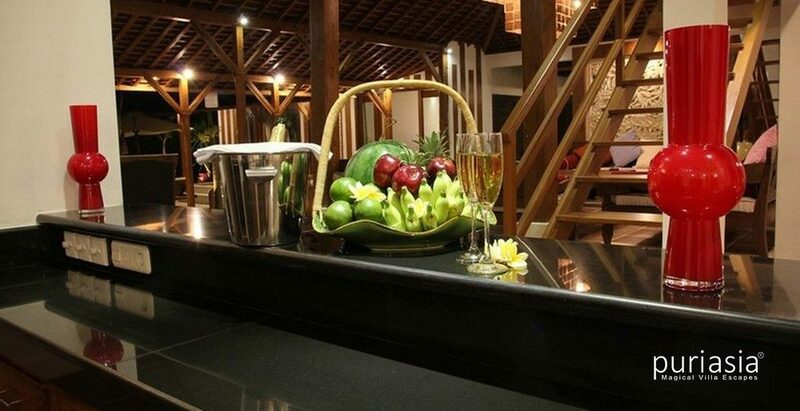 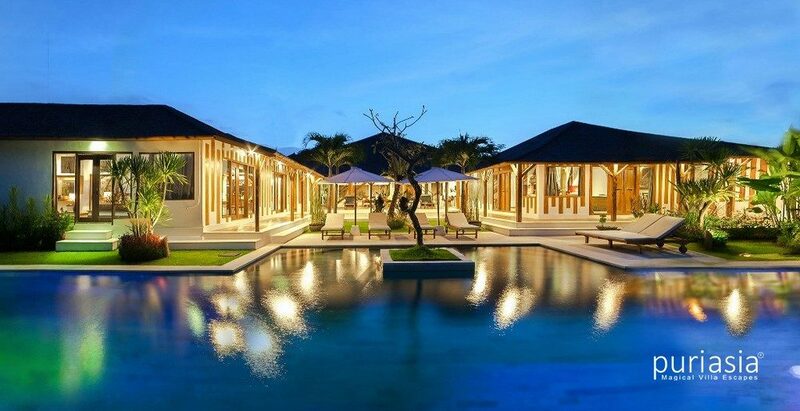 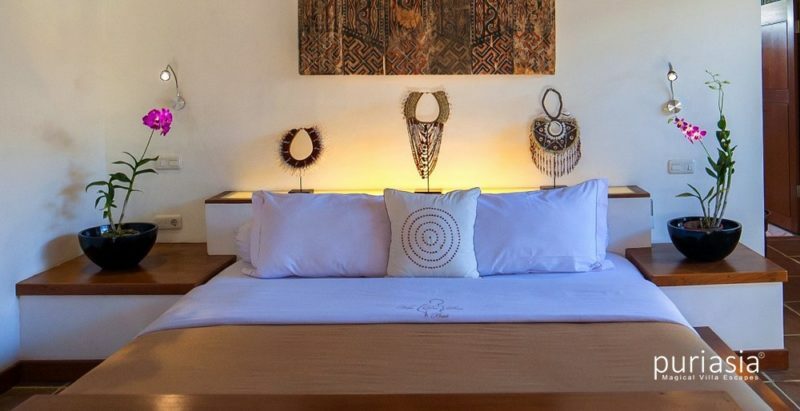 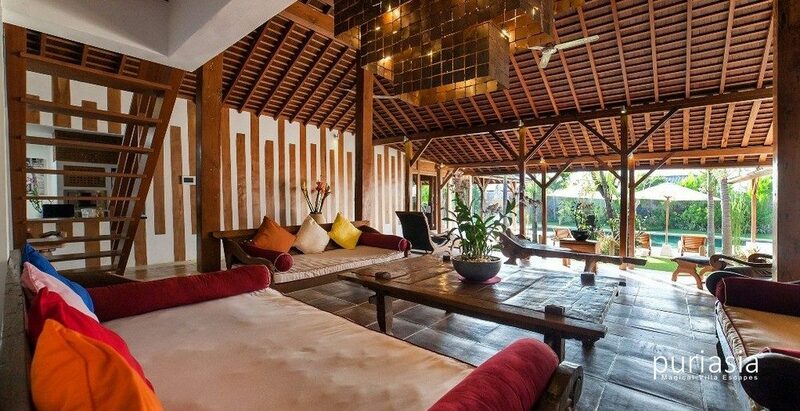 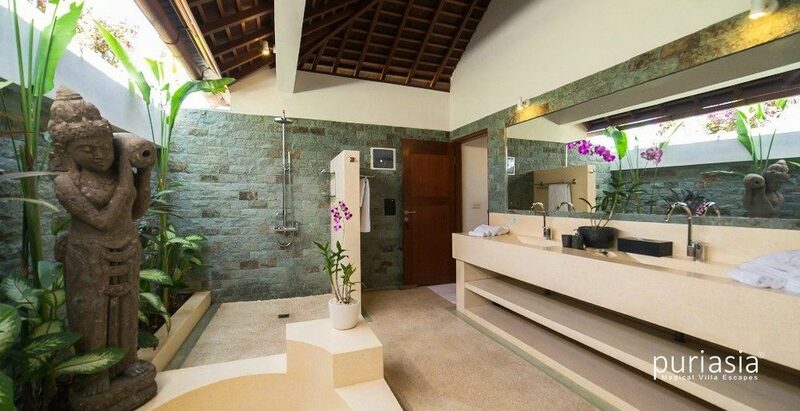 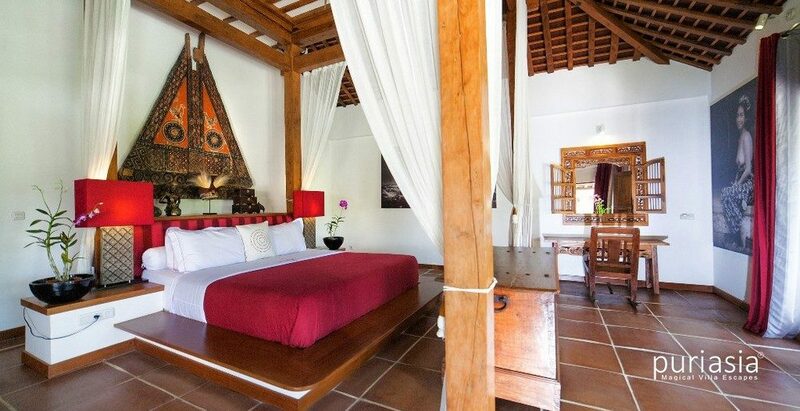 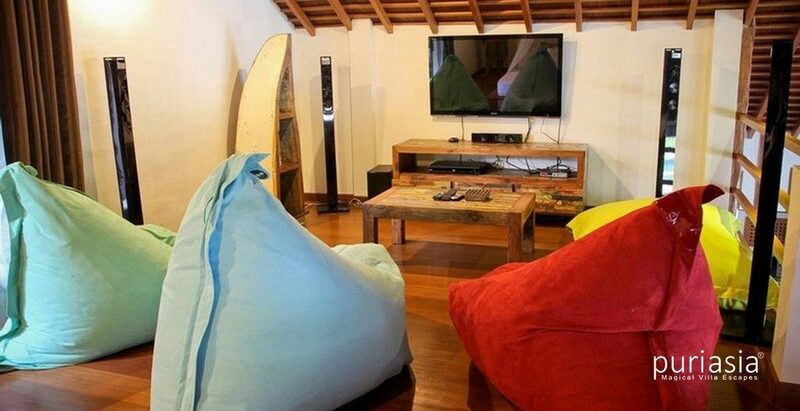 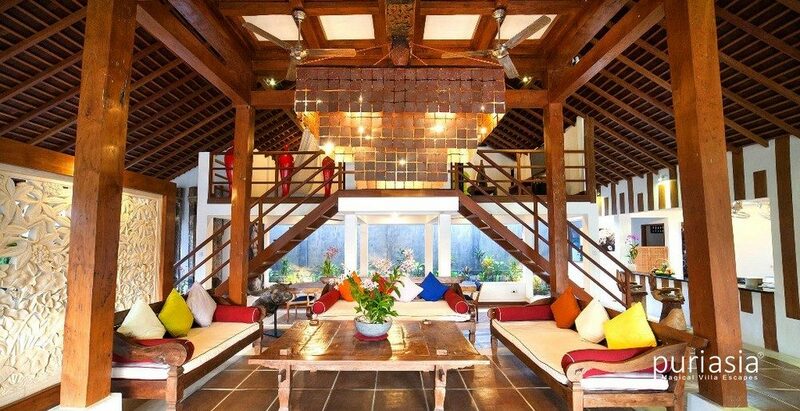 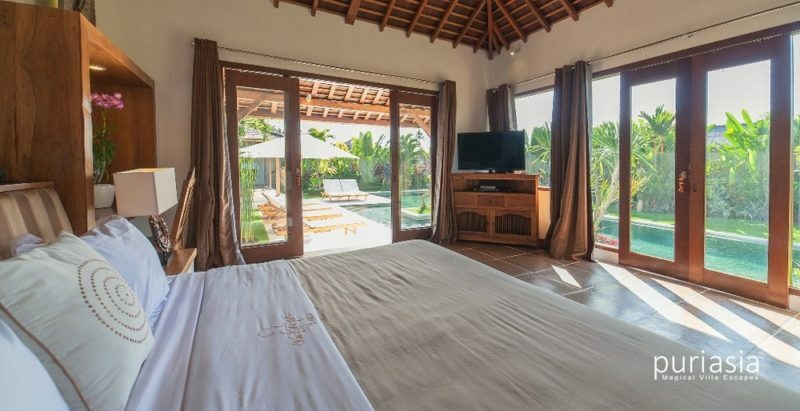 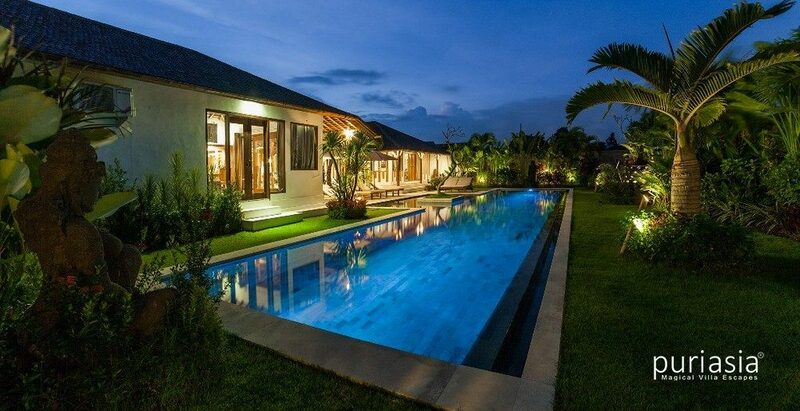 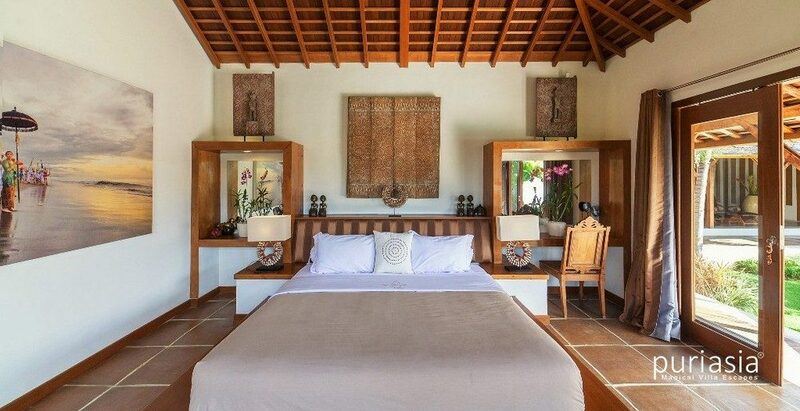 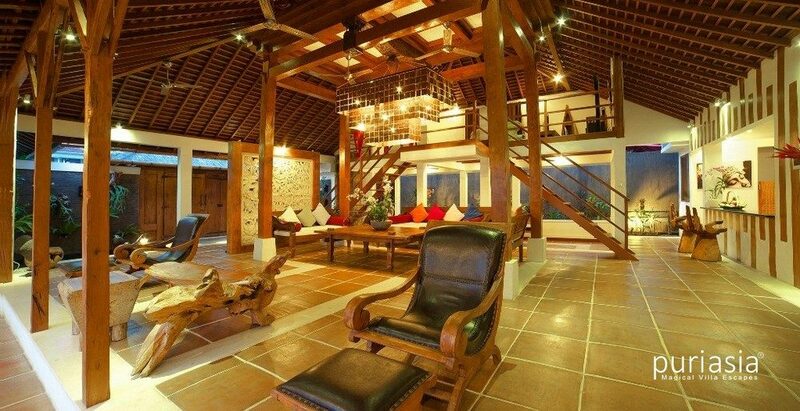 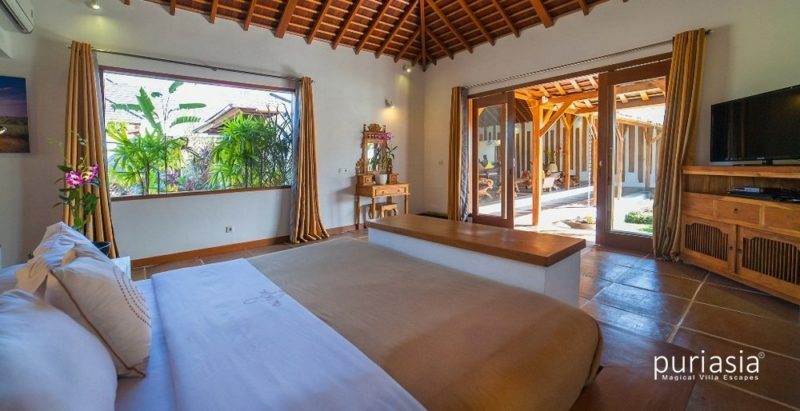 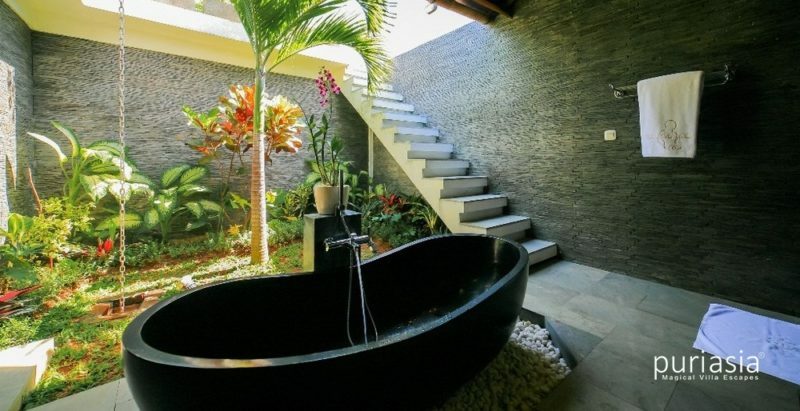 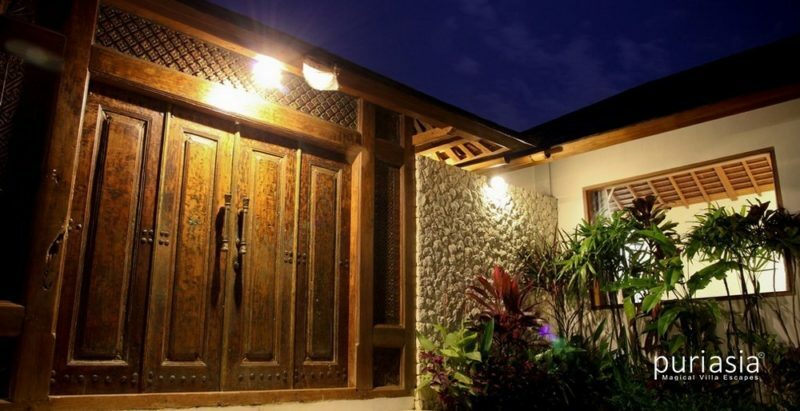 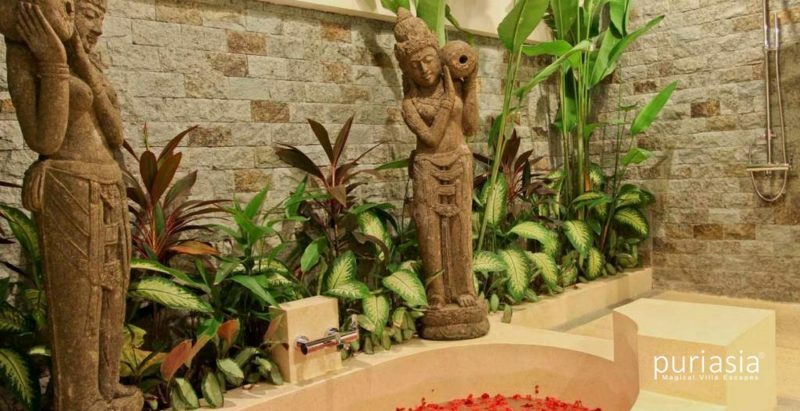 La Villa Des Sens is located in Kerobokan, close to the heart of Seminyak in Southern Bali, but far enough away to avoid the hubbub of this busy region. 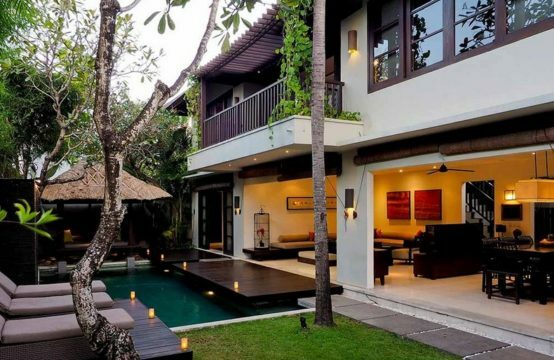 Seminyak is currently the home of the most popular nightlife in Bali; the best restaurants and bars, clubs and, of course, world-class shopping. Within a few minutes’ drive are the renown restaurants; Métis, Sardine, Café Bali, Warisan, Rumours, Cocoon, The Hu’u Bar, Breeze at the Samaya and La Luciola as well as a host of galleries, spas, fashion boutiques and art and interior decoration studios. 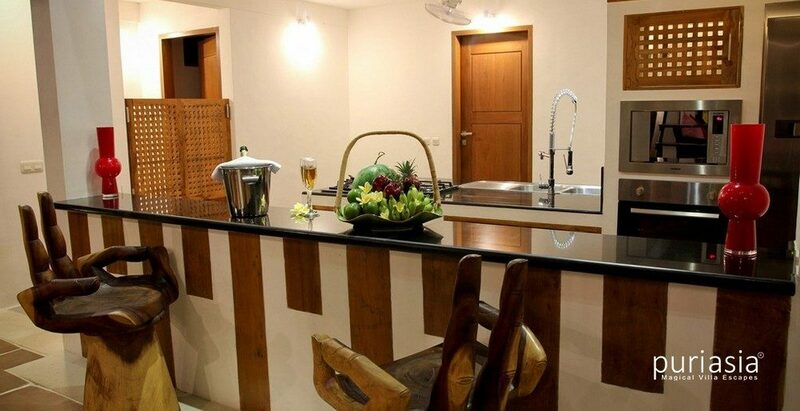 *The rate is inclusive 15.5 Percent Government Tax and Service. 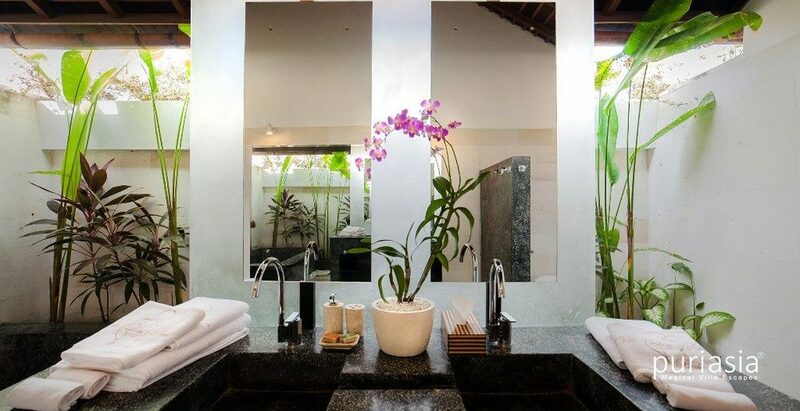 Please email us if you would like to make a booking.